[OSEN=최나영 기자] YG Entertainment (“YG”)’s next girl group has confirmed to be “BLACKPINK” with four members. According to the official announcement made on YG’s official blog on June 29, YG’s new girl group to be launched eight years after 2NE1 is named “BLACKPINK”, with four members of JENNIE, JISOO, LISA, and ROSÉ who have been unveiled so far. The average age of the four members of BLACKPINK is 19. They joined YG as trainees at the age of 13 to 15 and have been trained hard for four to six years. Therefore, they are the most talented trainees of YG, according to insiders. According to a high-ranking insider of YG, the new girl group was originally supposed to have total nine members. However, two years ago, YG’s head YANG HYUN SUK changed the plan to make four of them debut first. Even though what YANG has in his mind is not clear as of now, the rest of the five trainees are still working at YG. So, it is known that YG people regard BLACKPINK as a unit of the new girl group to make debut first. YANG HYUN SUK designated YG’s main producer TEDDY who have taken part in producing of many hit songs of BIGBANG and 2NE1 as the dedicated producer for BLACKPINK. TEDDY has been working on writing the lyrics and melody of all the songs of BLACKPINK as well as producing for the past two years, to recently complete the debut album. An YG insider explained about the name “BLACKPINK”, saying, “’BLACKPINK’ has a meaning of a little bit twist for the pink color which is usually thought to be a pretty color. The message it conveys is that ‘Being pretty is not enough’. So, the team name suggests that this team has both pretty appearance and talent as an artist”. Plus, just as special products are “black-labeled”, “BLACKPINK” means the special quality of the new girl group. 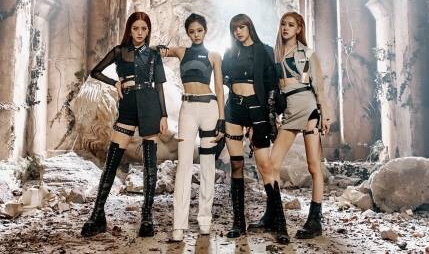 YG is now concentrating on the final touch to the preparation for BLACKPINK’s successful debut, including choreography for the debut song worked by four famous foreign choreographers.